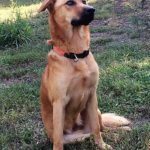 This beautiful 2 year old Sheppard mix weighs 20 kgs and is waiting for her furever home . Shakira is wonderful with all dogs, kids and people. We are not sure about cats just yet, she needs to be tested with cats . She is very obedient and loves to learn and smile . She was abandoned at the Acopio shelter in Puerto Vallarta with her friend who has been adopted. Now it’s her turn . She will be taken to our fosters here in Mexico and we will take her to the vet to get all her vaccines and a clean bill of health. She will be ready to travel with a medical certificate in February. Thank you/Gracias to the wonderful family who has adopted this sweet girl. 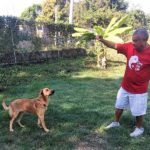 A bit of background about Dog For Life…We are a very small non-profit rescue group made up of people who love and have a passion for helping dogs and who work and live in Puerto Vallarta and Victoria as well as fellow dog lovers in other parts of Canada and the USA. 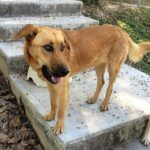 Dog For Life differs from other, larger rescue groups in that we personally work with each dog in Mexico and are part of their entire journey from the shelter to a foster home in Puerto Vallarta to their “furever” homes in Canada and USA. We take great care in ensuring they are healthy and well and placed in the best possible homes. Our usual process is to have you fill out an application form, we review and then if warranted one of our team would meet you and do a home check to ensure the inside and outside environments are safe and suitable for the dog. 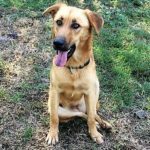 Then if all checks out and the dog is the right fit for you and you are right for the dog, we have the applicant do a one week foster to adopt. 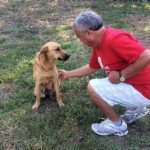 To adopt one of our dogs is $450 – this fee helps to cover some of the costs to get the dogs well – spay/neutered, vet care and ready to travel.